© Renée C. Hill, Esq. This website is designed for informational purposes only. Nothing contained therein should be construed as legal advice nor the formation of an attorney-client relationship. Renée C. Hill is an experienced trial attorney concentrating in Criminal Defense. Having practiced for many years with the Law Office of Murray Richman, Ms. Hill has tried over one hundred cases including several high profile cases, ranging from homicides to minor assaults. Some of her clientele include persons in the entertainment industry and radio personalities. Amongst friends, she is known as the “Queen of the Bronx”. She has been named as one of the top hot new attorneys in the Criminal Justice area by the New York Post (November 26, 2000) and appeared countless times as a guest commentator for Court T.V./Real T.V. She has also appeared several times on the Nancy Grace Show. 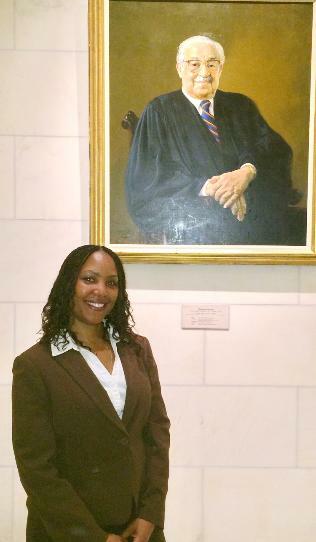 Ms. Hill served as the Acting Justice of the Village of Harriman Court from March, 2008 through March, 2015. Ms. Hill comes from a long line of achievers. Her maternal grandmother, Gloria Miller Corley, now deceased, was the Assistant Personnel Director at the United Nations and her mother, Renee Hill-Bennett, was one of the original 27 children of the United Nations School. Ms. Hill is admitted to practice in the Supreme Court of the United States, United States District Courts for the Southern and Eastern Districts of New York, and all trial and appellate courts for the States of New York and New Jersey. She is a past President of The Black Bar Association of Bronx County and is a member of numerous organizations including The Bronx County Bar Association, New York State Association of Criminal Defense Lawyers and The National Association of Criminal Defense Lawyers. Ms. Hill graduated with a Juris Doctorate from St. John’s University School of Law, Jamaica, New York, in June, 1992.